Having been released in April 2013, you can take advantage of the efficiency and modern design of the Samsung Galaxy Note 8.0 N5100 without having to pay a very high price. Equipped with various appealing features, such as a Quad-Core 1.6 GHz processor, it also has an Exynos 4412 Quad chipset. Although it might have impressed you by now, the same like most other tablets, this one can also start doing a lousy job at what used to be its strong point, in which case we recommend a hard reset for the Samsung Galaxy Note 8.0 N5100. It shouldn’t shock you much if the device started to run slower than it usually did, became unresponsive, showed errors or restarted at times. This normally is just a sign that your tablet is getting older, and the same as it happens to people, smart devices can also use the hand of a good doctor. In this case, the doctor is a procedure called the master reset – this one is going to remove all viruses, reinstall the original version of the OS and erase the excessive files. Coming in the perfect size and shape for on-the-go situations, the Galaxy Note 8.0 was built to serve creative people and gamers at the same time. This tablet can help you prepare a presentation for work, write down some of your best ideas, do a sketch or watch a movie, but also play a game or read a good book. While it only comes with a 5MP camera on the back and a 1.5MP one on the front, all its other features are simply mesmerizing. The fast connectivity via Wi-Fi and BT v4.0 will let you stay connected no matter where you are, and the 4600 mAh will guarantee you at least 14 hours of use without any need to recharge. 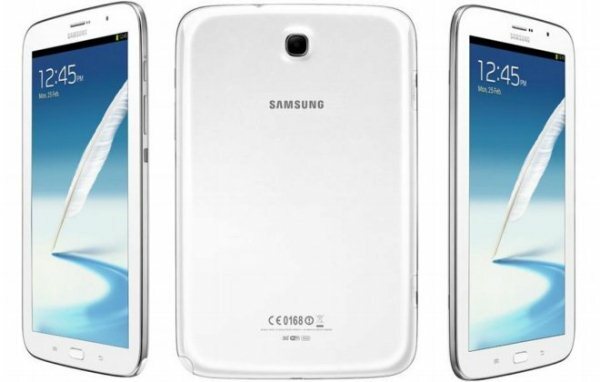 Its display measures 8 inches, it comes with 2G and 3G, and it is powered by version 4.1.2 of Android. Apart from that, it has a microUSB v2.0 that can be used for charging the device, but also connecting it to the TV for a unique experience on the bigger screen. Follow the instructions in this section in order to bring the Galaxy Note back to original software. This will make the device work the same as it did when you first purchased it and will erase the user data in just a few minutes. Keep in mind that it is necessary to save your files before proceeding, and you should be careful in choosing which one of these methods suits your situation best. Press Power to turn the device on and wait for the OS to load. Open the Menu and go to the Settings section. Scroll down and select Backup & Reset from the list. Tap on Reset Device, and then select Erase Everything. Wait for the device to reset and automatically reboot. 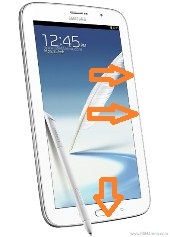 Charge the Galaxy Note, and then press the Power key to shut off. Press Volume Up + Power + Home and wait. When the Recovery Menu loads, use Volume keys to scroll down. Select Wipe Data and choose it using the Power button. In a similar manner, choose Yes, and then press Reboot Now. This should prompt the operation, and it will take 3 minutes at most.